When you choose Eziprint to transfer your photo to canvas you not only get great value, you also get great customer service. That’s the Eziprint difference. The quotes below are unsolicited praise from our customers. I have now had a dozen or so files printed to canvas by Eziprint. The technical performance is excellent, and many of my customers call me to express their pleasure with the finished product. In an age when customer service is so important, and all too often lacking, Eziprint staff exceed all expectations, their abilities and friendliness second to none. I just received the canvas print I ordered and would like to thank you for doing such a fantastic job. The colour match to the image I provided is spot on and the overall product is amazing. My client will be blown away, you did an amazing job. You guys do beautiful canvases. We are very proud of the work you do for us. While I was out the courier dropped off the two canvas prints at my door. They arrived in good condition, and the quality is superb. Thanks you very much for the prompt service and a print that is true to colour and finished to perfection. We received our canvases and they are amazing! We are very happy with them, great quality, extremely efficient and great price!! My canvas was delivered this morning at 6:34am and it looks great!! Thanks for getting it done quickly and professionally, my wife will be really happy on Mothers day. You guys are amazing, would recommend you to anyone. Just wanted to say thank you very much for doing the canvas print for me. It arrived today and I’m very happy with it! Thank you for your efforts in ensuring that not only did the finished product look very good but that I also received it in time. 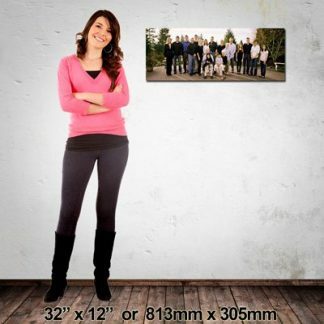 I’m very happy and will definetely use your company again and refer anyone I know who wants canvas prints to your site. Thank you, my print arrived today. I’m really happy with the quality and your service. My canvas arrived this morning and I just wanted to say thank you for the awesome job you did. I’m so happy with it and thank you so much for getting it to me in such a short space of time. I will be recommending you all my friends and family and have no hesitation in using your services again. Chris here, I would like to thank you for your quick reply the other day in regards to the site changes and also let you know I am very happy with my print, as this was a test to see who I would use for more prints when I need them, I am happy to let you know I look forward to using you in the future. Now I am just relying on my photos to take peoples interest. Prints arrived this morning – they are great. All are live theatre shoots so the colour is never going to be perfect in the files I sent – you have done a great job with them and I am very happy. They will go up on my studio walls later this week, mainly to give me bragging rights from a few names in the NZ theatre world. Thanks again. Stay in touch.